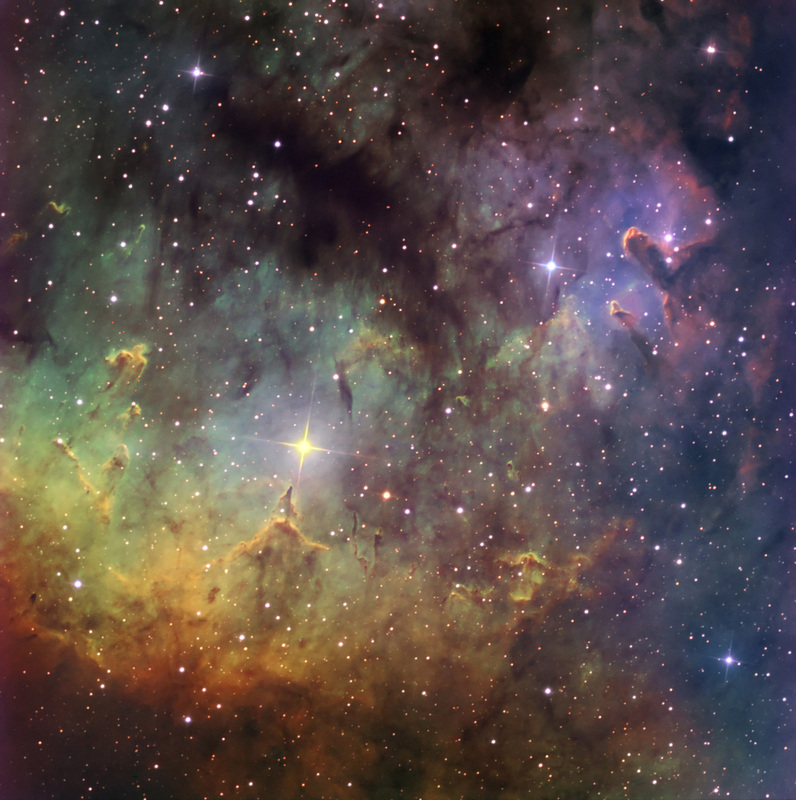 NGC 7822 is an emission nebula in Cepheus at RA 0hrs 3min 36s and DEC +68deg 37min. North is toward the upper left and the field is ~40′ square. Addtional information can be found in a write-up by Rob Gendler. This is a hybrid narrowband and RGB image. Astrodon 3 nm H-a, OIII and SII narrowband data from 30 minutes exposures were combined with Astrodon Generation 2 RGB data from 15 minute exposures. Each of the 6 types of data were processed as individual layers in Photoshop with clipping layer masks for colorization similar to the technique developed by Ken Crawford. Color mapping for the narrowband data used the Hubble palette (OIII, H-a, SII mapped to B, G and R, respectively). Synthetic luminances from the narrowbands and the RGB were also used.